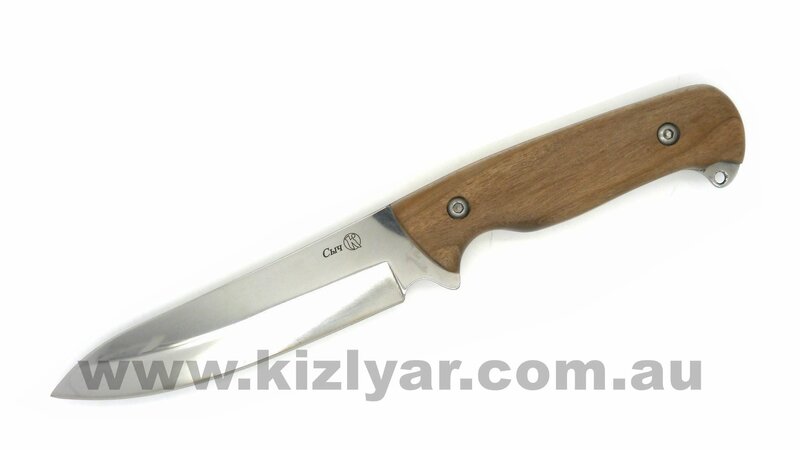 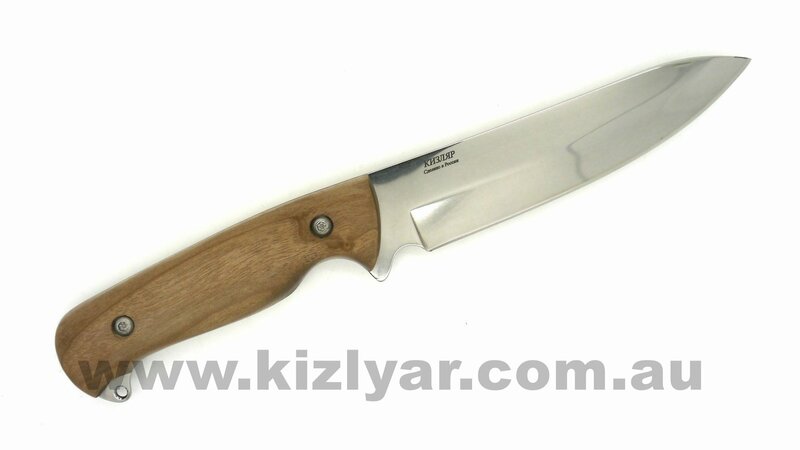 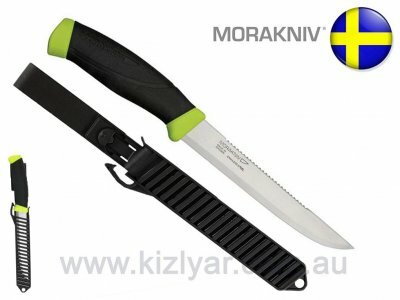 The Kizlyar Sych (Owl) is a versatile utility knife designed for processing small and medium game animals, food prep and campsite tasks. 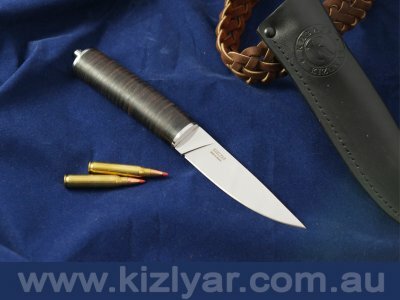 Full tang drop point blade with lanyard hole. 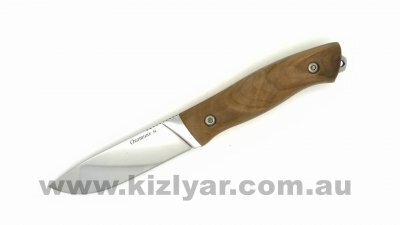 The handle slabs are crafted from resin impregnated caucasian walnut and are securely riveted to the full tang of high carbon rust resistant steel. 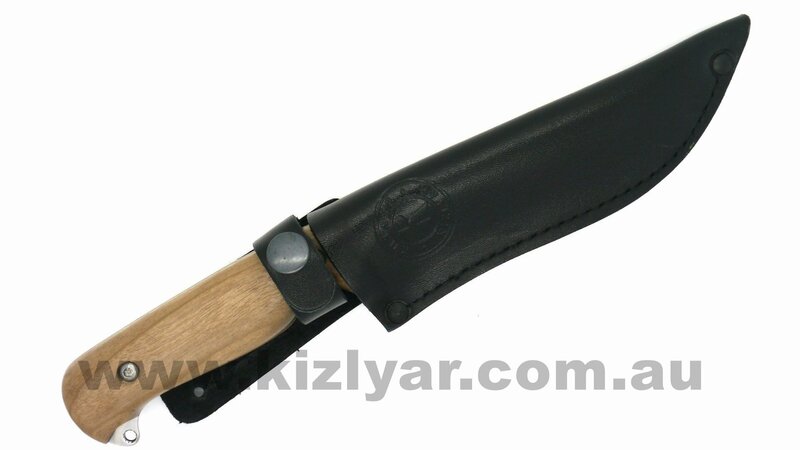 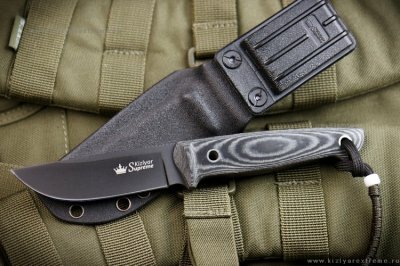 As with all Kizlyar knives, each one is delivered with a top quality sheath, this model is no exception, it is housed in a heavy, treated leather sheath.